“Inspired by a true story” are the five words that can both inspire delight and strike fear in the hearts of anyone looking for something spooking to enjoy. Koei Tecmo has been using that approach to help sell the Fatal Frame series for years. By offering fictional locations, rituals and situations inspired by Japanese folklore and history, the company has provided people with a shooter that involves defeating ghosts with cameras to survive otherworldly encounters. 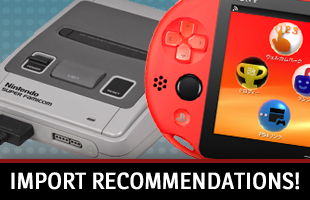 Join us as we go through the catalog of Fatal Frame games. Miku’s elder brother, Mafuyu, disappeared while investigating the Himuro Mansion. It’s haunted by the ghosts of people who died in a failed Strangling Ritual. Fortunately, Miku finds the Camera Obscura and learns that using it to take pictures of these spirits banishes them. Another Fatal Frame, another cursed location and failed ritual. A pair of twins, named Mayu and Mio, find themselves lured to Minakami Village by a strange butterfly. It’s a lost village, filled with ghosts after a failed Crimson Sacrifice. Anyone who finds their way in are trapped there forever. Mayu takes off, and it’s up to players to help Mio explore the village’s residents, learn about the ritual and reunite with her sister. A Wii remake was released in Japan in 2012. After the failure of the Impalement Ritual, its tattooed priestess haunts the Manor of Sleep and inflicts the tattooed curse on people who dream of the home and attempt to explore this haunted dreamworld in the hopes of reuniting with a lost loved one. A photographer named Rei is cursed after her fiance dies, her assistant, Fatal Frame’s Miku and her fiance’s friend Yuu, uncle to Fatal Frame II’s Mio, all find themselves attempting to deal with and survive the curse. The fifth and, at the moment, final Fatal Frame game follows three people. All three keep finding themselves visiting Hikami Mountain, a place known as a suicide hotspot and former home of the Yuukon Ritual. (Former, because the last ritual failed years ago, turning the mountain into a supernatural hot spot.) Yuri works with her mentor, Hisoka, to find people who head up to the mountain and disappear. Ren is an author working on a book and doing research on the mountainous area. 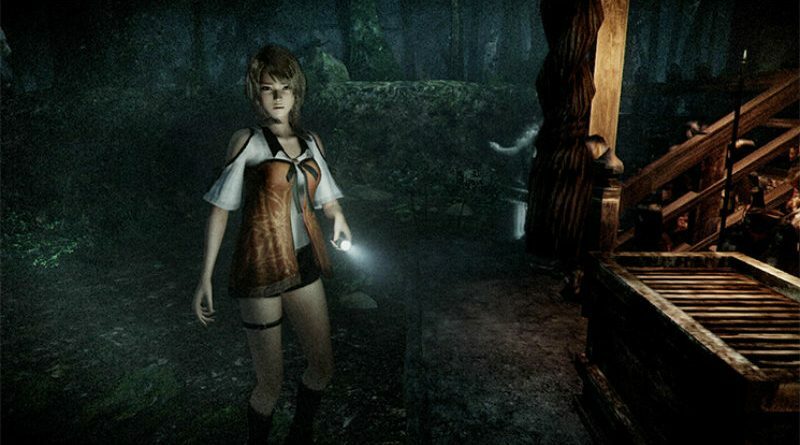 Miu is the daughter of the first Fatal Frame heroine, Miku, and is there to search for her missing mother. Wii U owners can use the GamePad as a camera to capture the pictures of ghosts and keep each character alive. 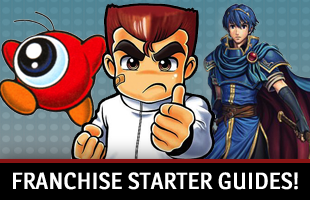 Of the four games released outside of Japan, it’s the least scary. 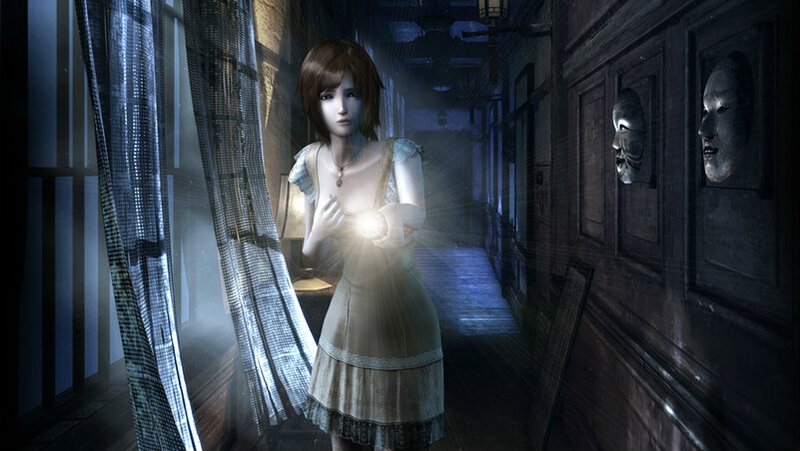 The fourth Fatal Frame game is the only one to never be released outside of Japan. 10 years before the events of the game, Ruka and her four friends were kidnapped and taken to Rougetsu Island, home of the former Kagura Dance ritual designed to stop Luna Sedata Syndrome. After two of her friends die and another two, Misaki and Madoka, return to the place and disappear, Ruka goes back in hopes of finding not only the missing girls, but her missing memories. A fan translation has been released. Real Zero was a mobile game that turned everyone’s cell phones into Camera Obscuras. You’d visit real-world locations to take pictures of 70 ghosts, needing to visit multiple locations at different times. The game’s service has ended, which makes it impossible to play now. However, Tecmo did temporarily consider an English release, with its E3 2005 booth even offering playable demos. Augmented reality games could go really well or very badly; it all depends on their implementation. 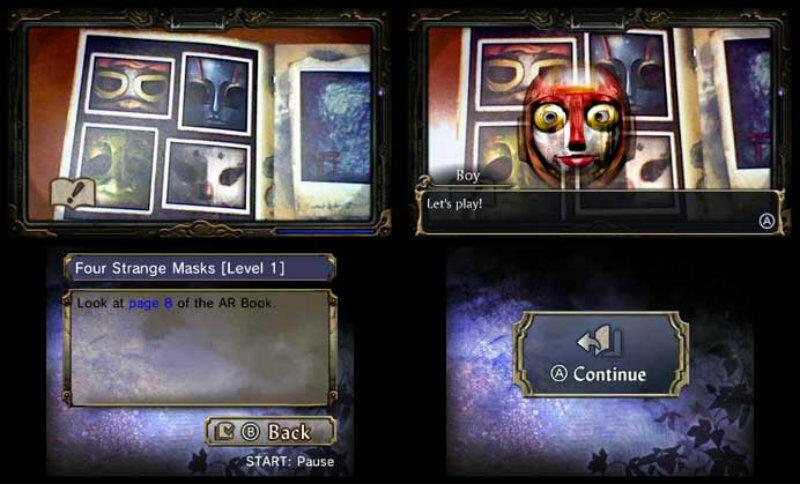 In theory, a game where you use a handheld as a Camera Obscure to explore a Fatal Frame story sounds like it would work. In reality, Spirit Camera: The Cursed Memoir is a mess. 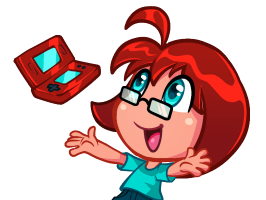 The 3DS’ gyroscopic controls, combined with a Diary of Faces notebook that practically need to be torn out of the manual to be properly used and required you to play in an exceptionally bright space, kept this game from being easy to play or possible to enjoy. If you somehow do find a way to power through, you use the AR notebook and 3DS to help a people escape the curse of the Woman in Black.